I like my fiction like I like my music: weird. 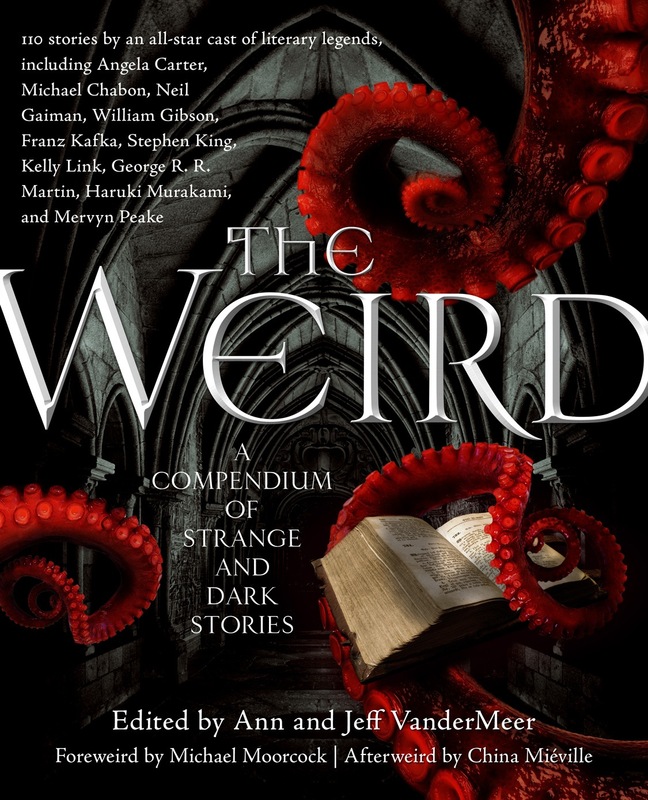 A damn hefty anthology of over a hundred years worth of esoteric fiction, The Weird is the perfect way to spend a rainy afternoon post-X-Files. From the early 1900s to 2010, it showcases a variety of creeping altered-reality stories from the likes of Octavia E. Butler, China Miéville, Lord Dunsany, and Thomas Ligotti—to name but a few of the many great names carefully selected for this massive volume. Edited by Ann and Jeff VanderMeer (author of some rather fantastic works himself, including the excellent Boschian urban fantasies Veniss Underground and City of Saints and Madmen) the intro also contains a sort of guide to the various kinds of weird fiction available, meaning that if you liked this, you’ll discover even more things to stock your bookshelf. An excellent primer (or companion) to an engaging and varied genre, and a ridiculously good bargain for $20.